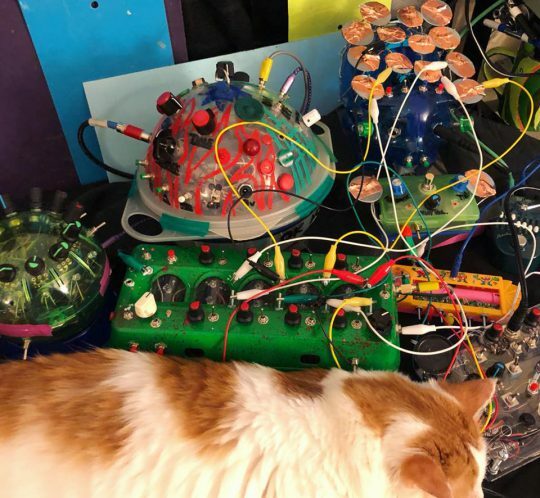 Mr. Fluff shows off his circuit-bending skills. From eevolute on Instagram. From Circuit Ben on YouTube, via matrixsynth. The “cat music” does indeed appear to be having a soporific effect on the cat.